Sympathy is extended to the Grace Family on the death of Helen Grace. Helen is mourned by her husband Eamonn, sons Eamonn and Denis and daughter Kerrie, grandchildren Oscar and Alex and many relatives and friends. Helen’s burial took place in Dunlavin Cemetery following Mass in Harolds Cross on Friday March 7th 2014. May Helen rest in peace. The culture bus will travel to see War Horse in the Bord Gais Theatre on Saturday April 26th. 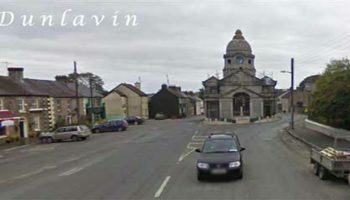 Bus will leave Dunlavin at 11am and return at 7pm. The Sunday Mass time for the month of March will be at 12 noon in the Church of Ireland Church while St Nicholas of Myra Church is under repair. Cardio Boot Camp classes will take place for the 7 weeks of Lent in the Imaal Hall at 8pm from Tuesday 4th March to April 15th. You can now register for the discounted price of €40. For enquiries contact Carmel on 085-7174494 or log on towww.facebook.com/slaneyfitness. Commencing on Thurs 13th March 10am -12 noon Margot Fogarty is running a 5 Week Class on Meditation and Mindfulness .in Crehelp. Cost €90 or €20 weekly. I would really appreciate it Margaret if you could pass on this information to anyone that you think would be interested. Plus an evening class 8pm, day & venue yet to be confirmed! May 31st Lisheen Springs 2.15pm, July 26th Rathsallagh 1.45pm, August 30thAthy 10.45am, September 27th Naas 11.30pm, Membership €35 includes Match play. New members welcome. Clothes Collection – Every Monday Night from 7.30p-9.00pm also Saturday mornings from 11.00amfor the month of January. Great opportunity to de-clutter. 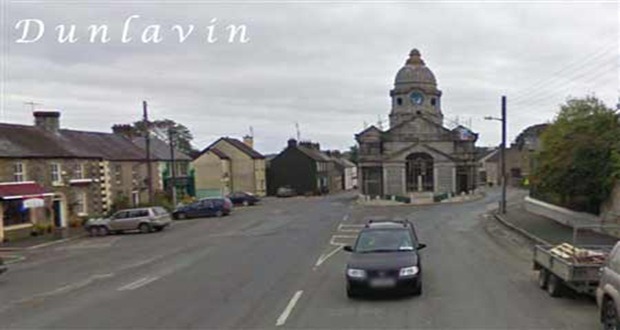 The March meeting of Dunlavin Flower and Garden Club will take place on March 12th 2014 at 8pm in the Jonathan Swift Hall. It will be a talk by Brendan Molloy from Hollywood Nurseries. New members welcome.